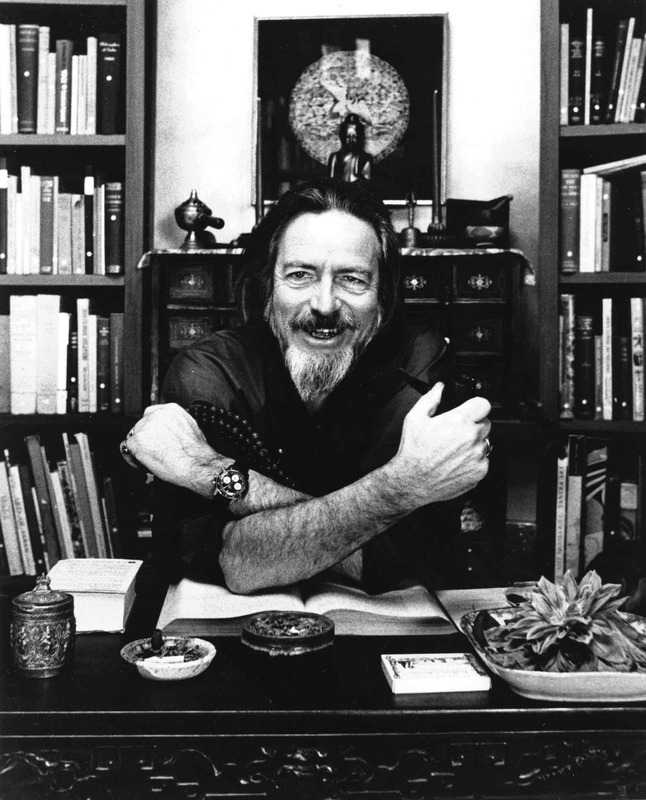 Celebrate Alan Watts’ Centennial with Digitally Remastered Recordings. Alan Watts is one of the most important interpreters of Eastern philosophy for his time and ours. If he were alive today, he’d probably subvert social media in the same way he helped to reinvent western culture in his own time. One day, his complete audio recordings will be obligatory for anyone coming of age in the new age. His books and recordings are a treasured artifact of his pervasive effect on our times and a magnet for all those that nearly know of him and dearly need to. His words are as relevant now as they were then. This year, Watts turns 100. We celebrate his centennial with “Face the Facts,” a four-track EP that takes the recordings of Watts’s early seminar sessions and sets them in time to original music. Alan’s wit and wisdom were first broadcast on radio stations in the Bay Area in the late ’50s and soon spread across America through public talks, tape recordings, books, and on screen. On his portable tape deck, Alan’s son Mark Watts captured hundreds of hours of his father’s seminar sessions. Years later he dug up these recordings and digitally remastered select gems for the series “The Essential Alan Watts” in the mid-’90s. This is Alan Watts in the most informal of settings. He’s relaxed, candid, and spontaneous, and it feels as if you’re right there with him in his living room. His spirit comes through in these psychedelic Californian ruminations, intriguing incantations, and compelling thoughts on existence. “I listened to them on the train every day for months—I’d be underground on the subway, totally lost in that world. Alan Watts is so good at condensing these mysterious cosmic questions into manageable ideas; it’s just the most reasonable thing I’ve ever heard. He talks with such a great cadence and natural rhythm, and that was what stood out to me the most. One day on a whim, while experimenting with making chord progression loops at home in Brooklyn, I just decided to drop Watts’ voice in and see how it matched up rhythmically. Born and raised in midcoast Maine, Jas moved to New York City where his eclectic musical interests quickly took root. He most recently performed as part of the Luaka Bop’s William Onyeabor tribute shows at BAM and on tour, with Jovanotti, Antibalas, and EMEFE, as well as with The Roots, Father Figures, Superhuman Happiness, Kronos Quartet, Asphalt Orchestra, and Josh Garrels. In collaboration with the Alan Watts Audio Archive—co-curated by Mark and Henry ‘Sandy’ Jacobs, who produced Alan Watts’s early psychedelic LPs (including This is IT)—Face the Facts includes an eight-page booklet with images and interviews, as well as rare archival photos dug up by Mark. The booklet features in-depth conversations with him about his father’s public-speaking career and with Sandy about the early recording sessions and the explosive San Francisco cultural scene of the late ’50s and early ’60s. Listen to the premiere stream of the title track, Face the Facts. 10-inch vinyl EP samples recordings of Watts’s seminar sessions. Includes previously unreleased photos and stories from Mountain Center Archives. On Tuesday May 19th, join us in celebrating the release at Unoppressive Non-Imperialist Bargain Books (34 Carmine Street) in New York on May 19. It’ll be a free listening party, live performance, and release celebration at this West Village bookstore, with tea and gin throughout the night. The very first batch of 10-inch vinyl records will be on sale at the store, and Jas Walton will be there to sign them for you. Check out our Facebook page for more information and to RSVP! My 10 Favorite Quotes from Alan Watts. 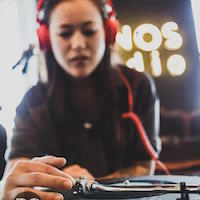 Growing up in the city, Lily Wen was first introduced to records behind the counter at the late Tropicália in Furs store in the East Village. Since then, she’s gotten to see the day-to-day operations of the homegrown Truth & Soul label and the bigger industry picture at Warner Music Group working for Nonesuch Records. With guidance and support from her Dust & Grooves family, she started to DJ all-vinyl soul sets at bars around the borough and make plans for the new label, Figure & Ground. Her ear is rooted in her parents’ classical music, and she loves Wurlitzers, Portuguese, and music made between ’67 and ’74.